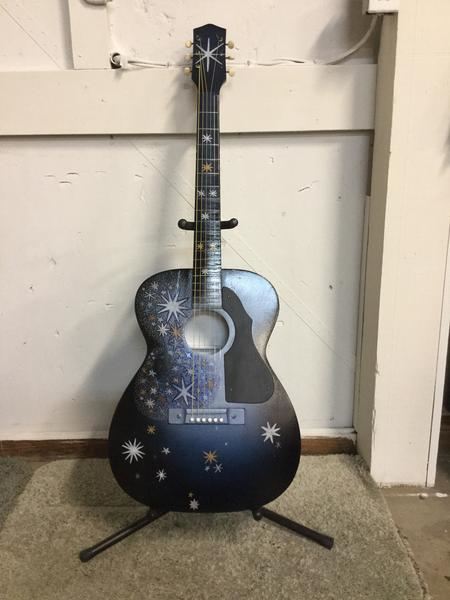 A one of a kind hand painted guitar with stand. 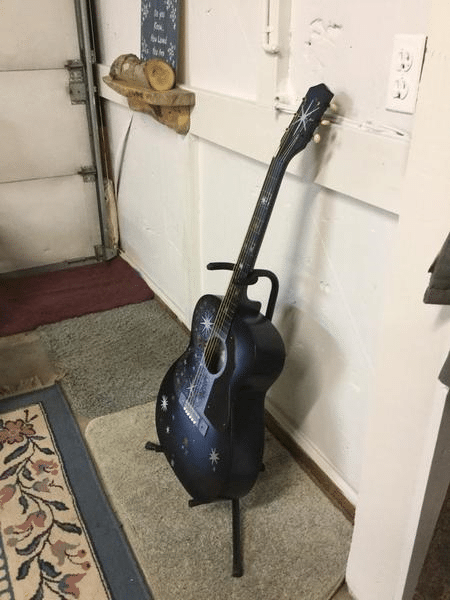 when my husband brought home this guitar he told me that it was a good campfire guitar that he thought could use my artist touch. After months of pondering I came up with a shooting star design. the center is painted white to resemble the moon and the pick guard is painted with chalkboard paint…so you can add your own artistic touch. Do you have a guitar, mandolin, fiddle….any type of acoustic wooden instrument that you would like to add artwork to???? Just drop me a line or give me a call and let’s see what we can come up with.